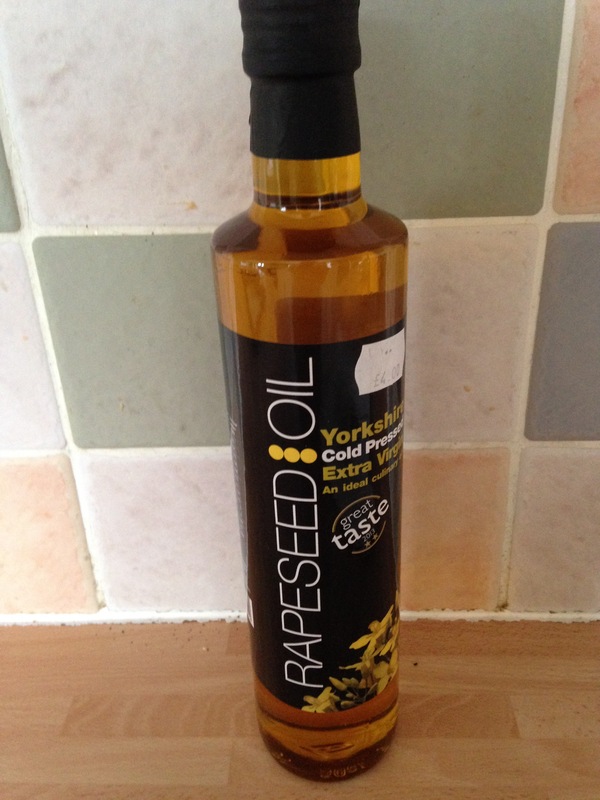 I was excited to hear that Yorkshire Rapeseed Oil are going to be at the BBC Good Food Show in Harrogate next month. I first tried their oil and mayonnaise after my aunt and uncle had included them in a homemade Christmas hamper a couple of years ago. They had been up to York for the weekend and must have bought them then but once the hamper was used up I wanted to restock! Imagine my delight when I saw that Yorkshire Oil were at the first Good Food Show in Harrogate in 2014 and were also there for the second time in last year, Ever since then I have bought their oils in preference to others. My husband who likes to cook on the weekends is also a massive fan, especially of the chilli flavoured Rapeseed Oil! Luckily my local farm shop Lister’s Farm Shop in Boroughbridge stocks it. We love the fact that the oil is produced and grown in Yorkshire, which is an added bonus. So my excitement increased tenfold when a book full of mouthwatering recipes appeared in the post. I was so excited to start baking or creating my own recipes. I didn’t get a bottle of oil with my recipe book like other bloggers had but this didn’t matter to me, I already had some in the cupboard! I used the Original Cold Pressed Rapeseed Oil in my cooking as it gives a delicious flavour and isn’t too overpowering. The other favourites apart from the Chilli flavour which I can wholeheartedly recommend are the Ginger and the Black Pepper flavours. I use the Ginger one whenever I make stir fries and the Black Pepper one works extremely well in all aspects of savoury cooking. The chilli one is quite powerful though, so I have to be careful not to add any extra heat to the dish. My family are still laughing about when we had chicken fajitas where I fried the chicken and the vegetables in the chilli rapeseed oil AND added spice to it! My son keeps reminding me of it every time I make fajitas! Yorkshire Rapeseed Oil also make a delicious Garlic Mayonnaise which never lasts long in our house. It gets used with fishcakes, with an ordinary salad or we use it like a traditional Mediterranean Aoili with raw vegetables and chunks of French bread. It also makes an amazing alternative to Hollandaise Sauce (which I find far too fiddly to make) on Eggs Benedict. 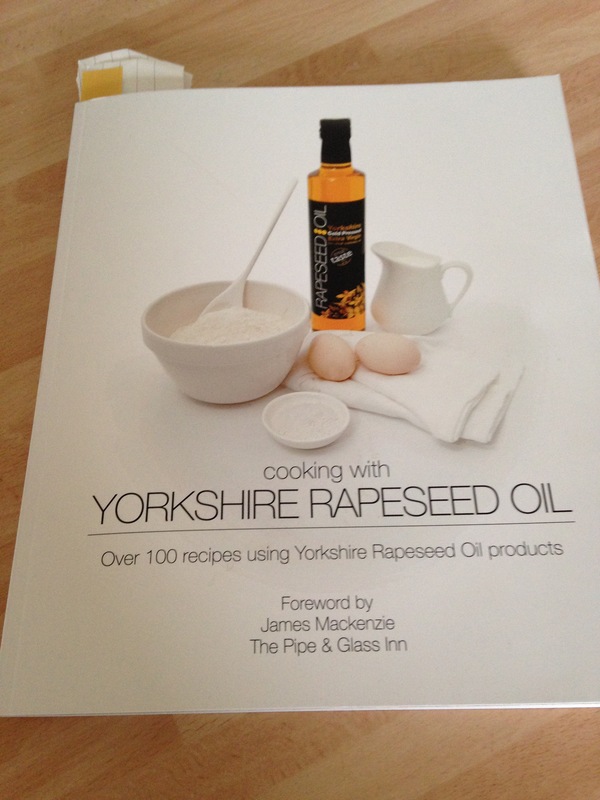 My new recipe book from The Yorkshire Rapeseed Oil Company. The recipe book itself is fantastic. It is a high quality book with over 164 pages crammed with more than 100 recipes. There is something to suit all occasions and tastebuds, whether savoury or sweet. Being a baking girl I was intrigued to see how Rapeseed Oil would work in a sweet recipe but then again you use sunflower oil in carrot cakes and in muffins. I also wanted to see how it would work in pastry in place of other fats. Not only that but I was looking forward to creating some delicious family meals out of the book. 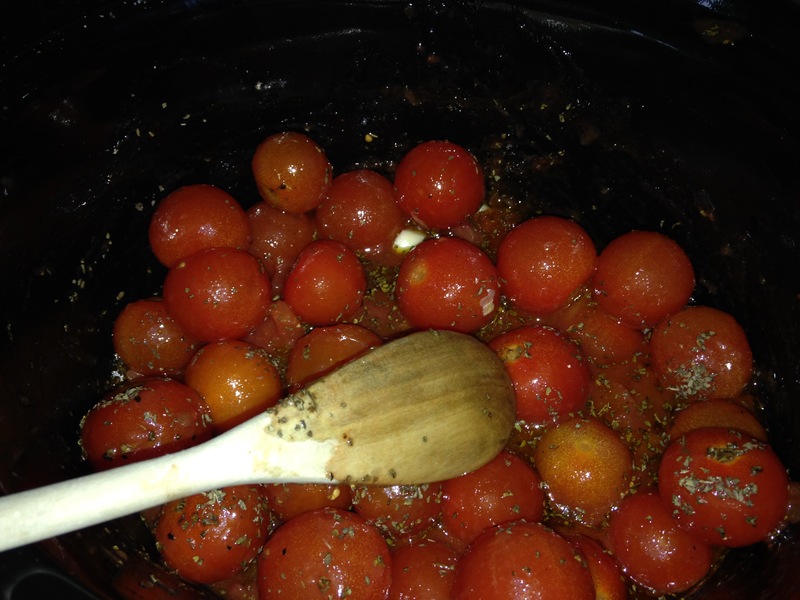 My first recipe to test out was the Rich Roasted Tomato Sauce. I wanted a handy pasta sauce that I could make and leave in the freezer for if I had a busy day at work. Instead of slow roasting the tomatoes, I put all the ingredients into my slow cooker and let that work its magic instead. The recipe called for 1kg of tomatoes. I only had about 700g so I added in a tin of chopped tomatoes, with garlic, basil, salt and pepper and not forgetting the rapeseed oil. I used the plain one here but I bet the chilli one would work well here! The ingredients included. some Yorkshire Rapeseed Oil. 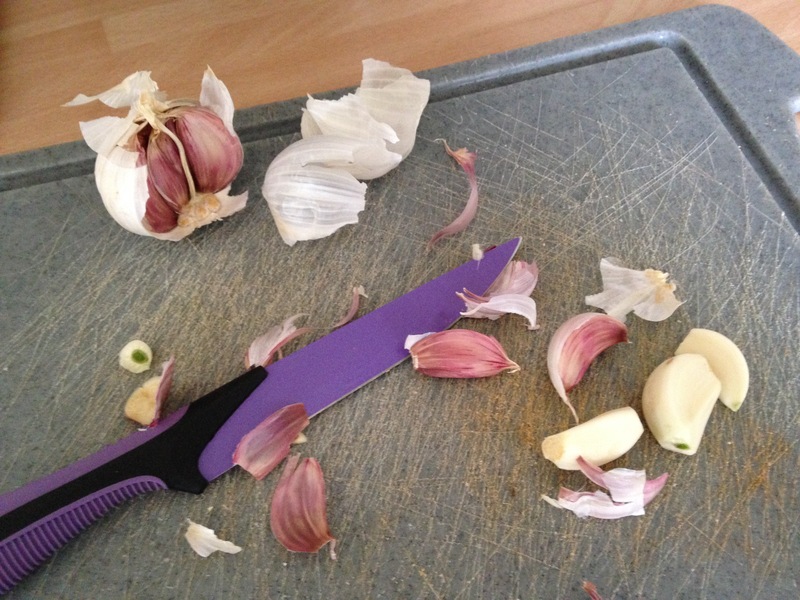 Lots of garlic went into the tomato pasfa sauce. 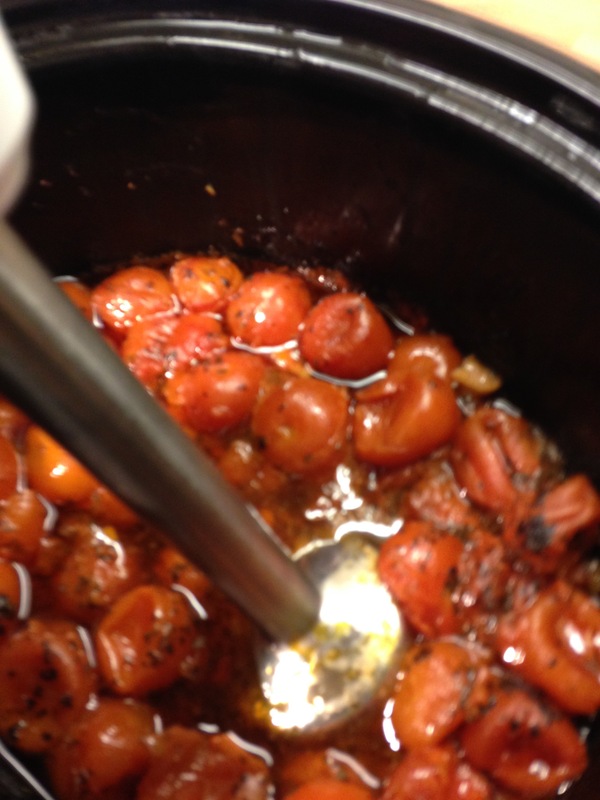 The romatoes had been slowly simmering away in my slow cooker all day. Being blitzed into a puree to make a tomato passta sauce. The sauce simmered away in my slow cooker all day on a very low heat. 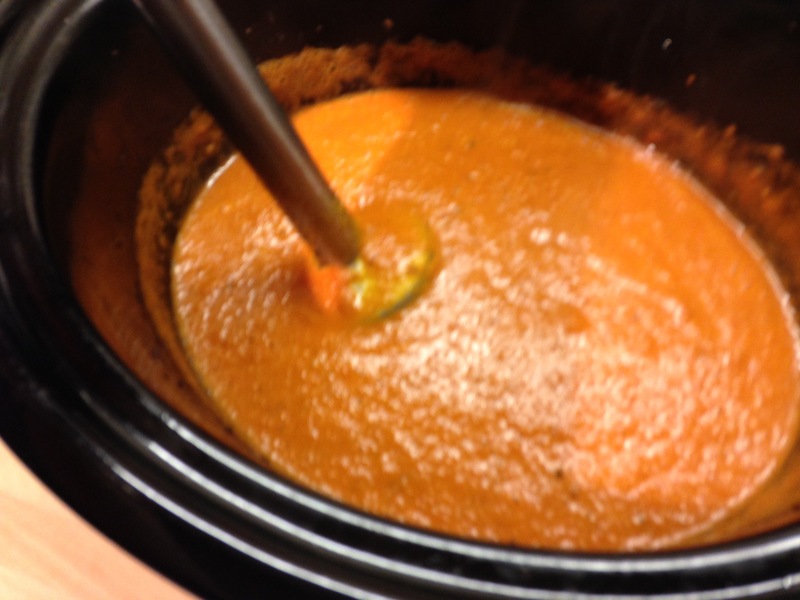 I then got my stick blender out and blitzed it into a smooth sauce. The result was a little bit runny and came out more like a soup. Once it had cooled down I put it into a plastic box and it went into my freezer. I’m hoping to test it out one night next week. The second recipe I tested out was the Sticky Figgy Flapjacks. I don’t like figs and neither does anyone in my family. Instead I substituted raisins for the figs. The recipe was simple enough to make: rapeseed oil in place of butter, sugar and golden syrup melted together in a pan on the stove and then you add in the porridge oats and the raisins. They were very easy to cook and my family devoured them. 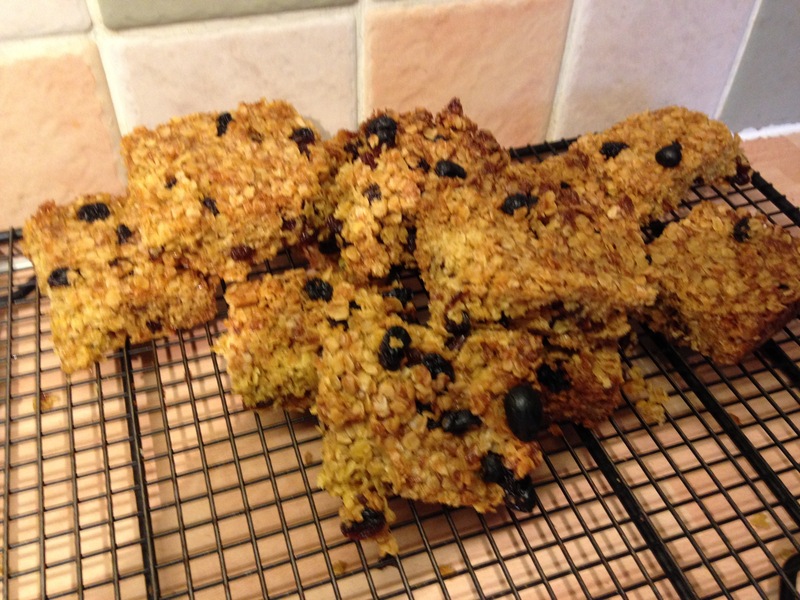 My variation on the Sticky Figgy Flapjacks which dont have figs in them! Other recipes I’m looking forward to trying out are the Red Onion and Yorkshire Blue Tart (which is a great excuse to try out rapeseed oil in pastry and to get in some more Shepherd’s Purse Yorkshire Blue Cheese!) My kids have asked if I can bake the Victoria Sponge and the Foccacia, not to mention the Cheesy Potato Cakes! I’m going to be very busy then! 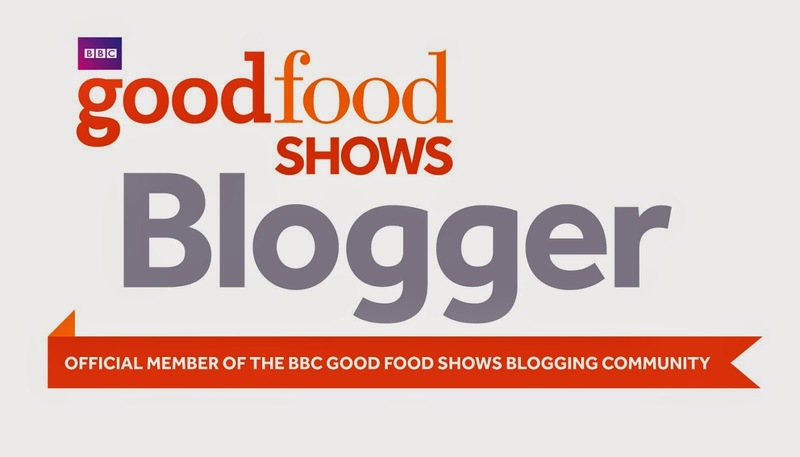 I was given the Yorkshire Rapeseed Oil Cook Book by BBC Good Food Show as I’m part of their Blogger Community for their Spring Show at Harrogate International Conference Centre in April 2016. For more information go to the Yorkshire Rapeseed Oil website where you’ll find a fantastic selection of recipes, more details about the products and more about the company itself! Order using code BL20 before 10/04/2016 and you will get 20% discount *see t&cs below. *20% off Adult/Over 65s tickets only. Not valid on VIP or with any other offer. Ends 10/04/16. Standard Supertheatre seat included with Super tickets, subject to availability, Gold seat upgrade £3. Offer valid on Value tickets where available. Details correct at time of print. £1.50 fulfilment fee per advance order. Good Food® Good Food Logo © BBC Worldwide. Organised and presented by River Street Events. Previous Post BBC Spring Good Food Show Harrogate April 2016. Next Post Local Yorkshire Producers Appearing At The Good Food Show- Spring 2016.